Our catalogue of “landscapes” pictures printed from photos will offer a modern decoration to your home. The “landscapes” show many natural environments. They will take you to peaceful and magical places. Whether on a beach at sunset, or in a hammock under palm trees or by the side of a mountain lake you will easily escape to the most heavenly places our planet offers. 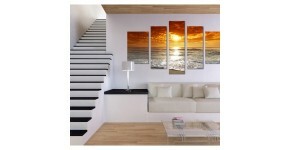 The contemporary pictures range will enhance the walls of your room while modernising your interior decoration. 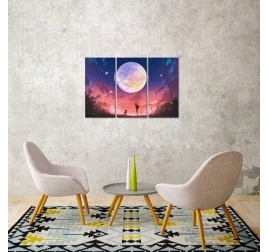 Beautiful moon for this nature canvas by Artwall and Co ! The total dimensions of this modern canvas are 90 x 60 cm. This decorative canvas comes with its ties on the back of the frame. Worldwide shipping for this lunar art. Abstract and futuristic, this modern art print depicts a sumptuous lily flower made of fire and smoke, reflecting Mother Nature's power and presence. This abstract canvas is 170 x 100 cm (66.93 x 39.37 po). Free delivery within 48/72 hours in metropolitan France for this abstract art print. Each decorative art print is treated to withstand UV and moisture. See the big picture with this printed canvas of the world map. In several panels, this art frame is the perfect piece for all travel lovers. The dimensions of this design frame are 150 cm x 80 cm (30x50x2pcs; 30x70x2pcs; 30x80x1pc). Delivery around the world for this wall canvas. A modern world map on a modern triptych on a grey background ! 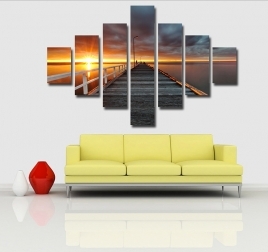 The dimensions of this deco wall canvas are 120 x 60 cm. 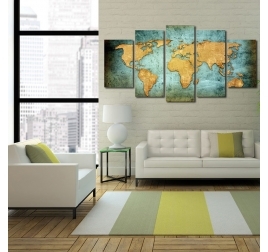 Free 48/72h delivery in metropolitan France and Belgium for this world map deco canvas. Each Artwall and Co deco design canvas is carefully wrapped for delivery. This modern art print shows a striking contrast of colors, opposing fire to water while depicting a splendid beach with red and blue shades. This nature canvas is 170 x 100 cm (66.93 x 39.37 po). Free delivery within 48/72 hours in metropolitan France for this nature art print. Each decorative art print is treated to withstand UV and moisture. A wonderful summer view of a little patch of the Himalayas, with sun rays lighting up the clouds and mountain peaks. This landscape canvas is 120 x 60 cm (47.24 x 23.62 po). Free delivery within 48/72 hours in metropolitan France for this nature art print. Each modern art print is treated to withstand UV and moisture. With its sublime pastel colors, this landscape canvas depicts the last rays and beams of sunset on a calm ocean with all the end-of-day shades. This nature art print is 140 x 100cm (55.12 x 39.37 po). Free delivery within 48/72 hours in metropolitan France for this zen art print. Each decorative art print is treated to withstand UV and moisture. 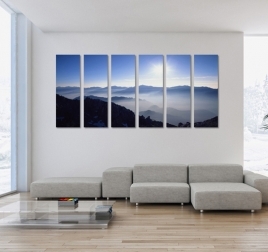 A beautiful view of the sky on a design canvas print ! The dimensions of this landscape artframe are 140 x 100 cm. Free 24/48h delivery in metropolitan France for this trendy multiple canvas. 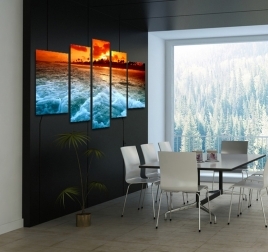 Each zen canvas is waterproof and treated anti-UV. This gorgeous view of the crystal clear Indian Ocean in the Maldives under bright blue skies gives us sensations of joie de vivre and freedom. This landscape canvas is 170 x 100 cm (66.93 x 39.37 po). Free delivery within 48/72 hours in metropolitan France for this nature art print. 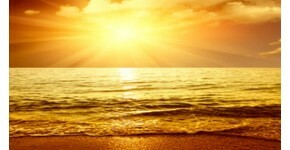 Each landscape art print is treated to withstand UV and moisture.